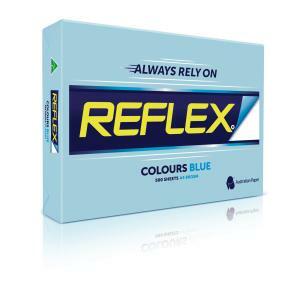 Brighten up your workplace with Reflex Colours Blue Ream! The most efficient way to express yourself on paper. Clean, bright and smooth qualities create the best impression. Ideal for reports, training documents, certificates, statements, notices and newsletters.